One of our earlier shipment to the USA. BatikKaftanCrafts is based in Kuala Terengganu, Malaysia - the capital of Malaysian batik & handicrafts. In this regard, most of our products would be handmade batik kaftans & sarongs (which also double as quilt fabric materials). From time to time, to offer our customers value for money, we will also feature printed batik or batik from Indonesia. However, we will highlight distinctively of our product origins. We also highlighted some of our crafts items such as copper crafts and songket products. 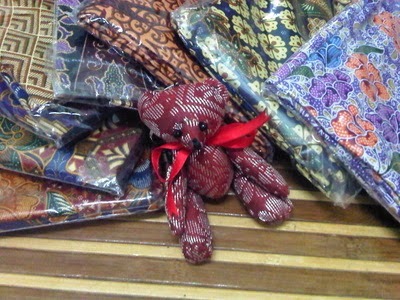 We bought our offerings from small enterprises or local people which involved directly with batik and crafts production. Once photographed, this item will be wrapped in durable plastic sheet to ensure hygiene and as preservation measure. Please allow us 2-3 working days (we will ensure we'll do it at the fastest time possible ) to post your item via our PosMalaysia registered Flexipack. Hope the above answer your questions! Hope you enjoy your buying experience & our selection of beautifully affordable batik kaftans and sarongs!